WordPress is one of the most popular, easy to use and manageable CMS amongst developers. WordPress has come up with themes that are well suited for news portals, tech blogs, gaming websites, fashion, gossip and many more niches. 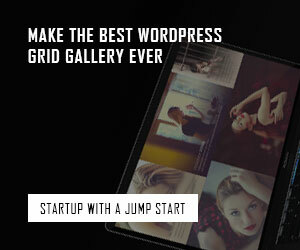 With tons of themes, extensive support, and useful plugins, it’s hard to beat WordPress’s appeal. In this article I have compiled a list of 30 Best Responsive WordPress Themes which have been released recently. Following themes come with premium like features, fully responsive and let you create beautiful websites for your work and portfolios. Enjoy !! 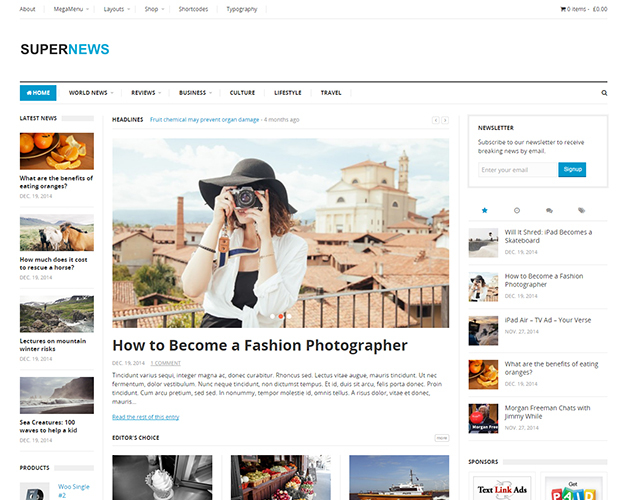 SuperNews is a responsive, flexible and multi-purpose theme. It supports drag and drop layouts/blocks, WooCommerce and dozens of great features. The theme has a smart design and XHTML valid code ensures maximum search engine visibility for your site. FashionForward is a modern fashion magazine theme built with creativity and minimalist approach. This theme presents your content in a way that your readers can easily browse through the valuable content which you have to offer to them. 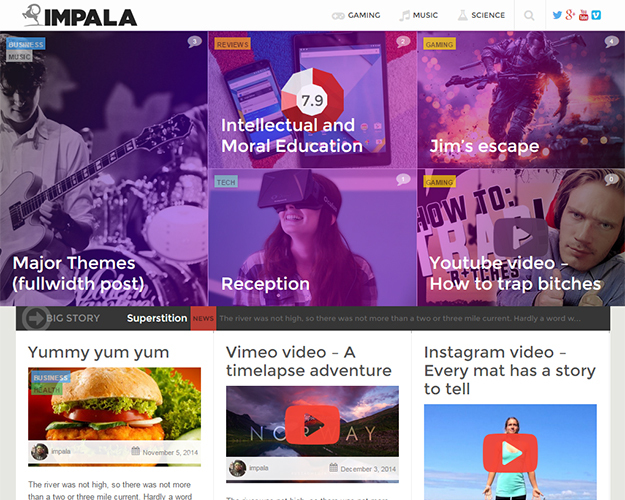 Impala is a modern flat-gradient, super flexible, fully responsive theme and tries to apply google material design principles. Impala used the best third party tools â€“ Bootstrap, Visual Composer, Redux Framework & Redux Metabox. 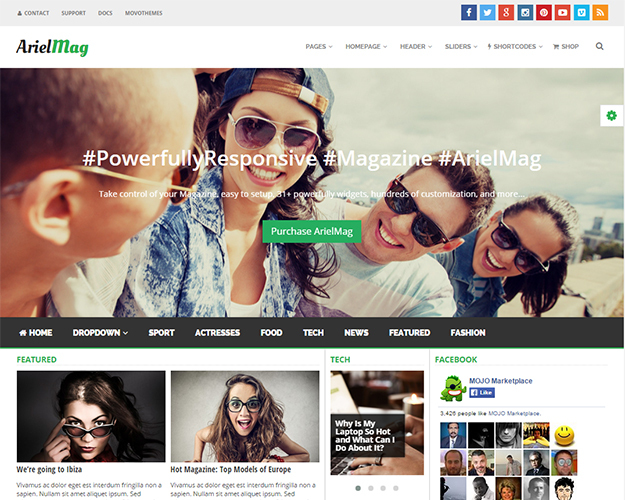 ArielMag is a beautiful, versatile, flexible, unique, and responsive theme for blogs, news, and magazine style websites. 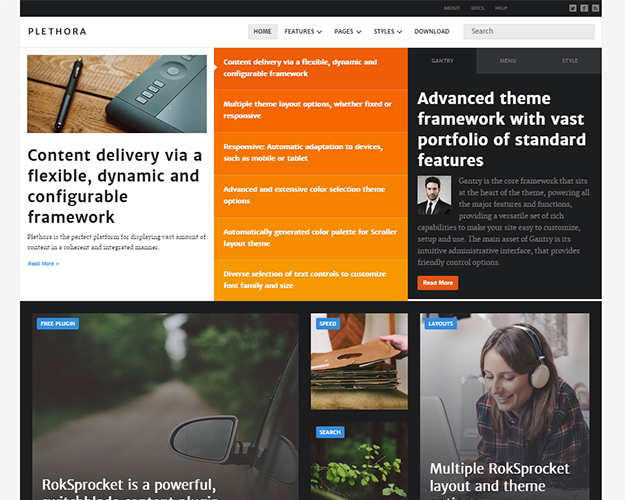 Designed to be incredibly easy-to-use and with a modern style to complement your text, photos, videos, music, and other content, this theme is a great choice for your site. 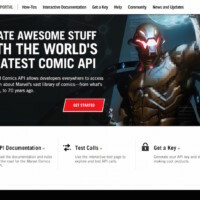 Best is a fully responsive theme that features an engaging design that is fully fluid responsive and loads incredibly fast. The theme is fully customizable, and optimized both for search engines and advertisers. 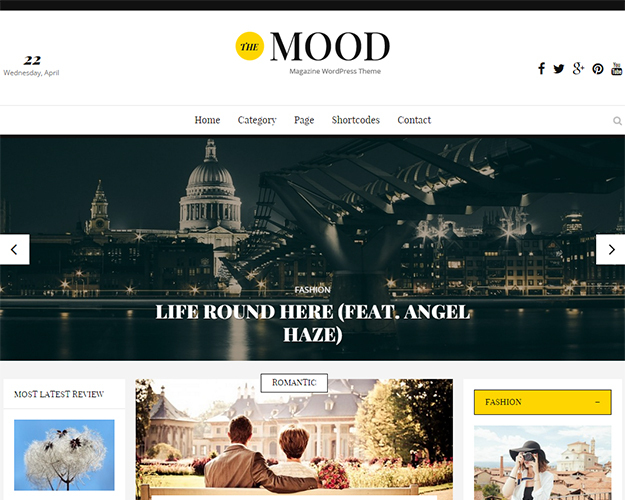 The theme Mood is a simple and user-friendly theme, suitable for both beginners and professional people. 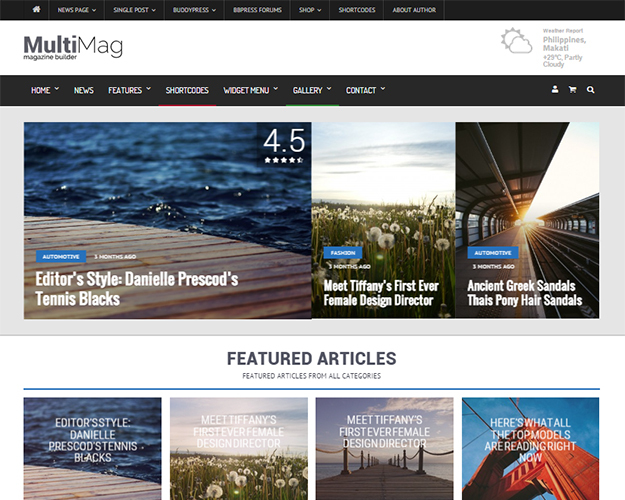 With modern layout, beautiful and elegant color, this theme is perfect for blogs or small sized magazine and news sites. Fmagazine is a theme that lets you create blog or magazine website with ease and is designed for creative agency. The theme is very clean, minimal with modern design. 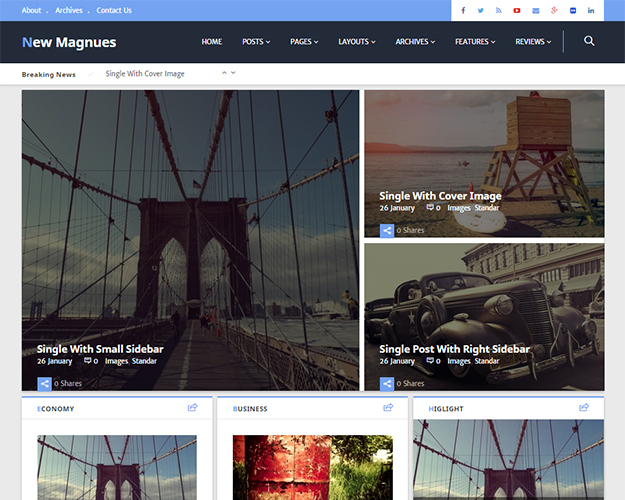 MultiMag is a premium theme that is packed with tons of features like page builder blocks, unlimited layouts and color. The theme uses Google web fonts so you have tons of awesome fonts to choose from. 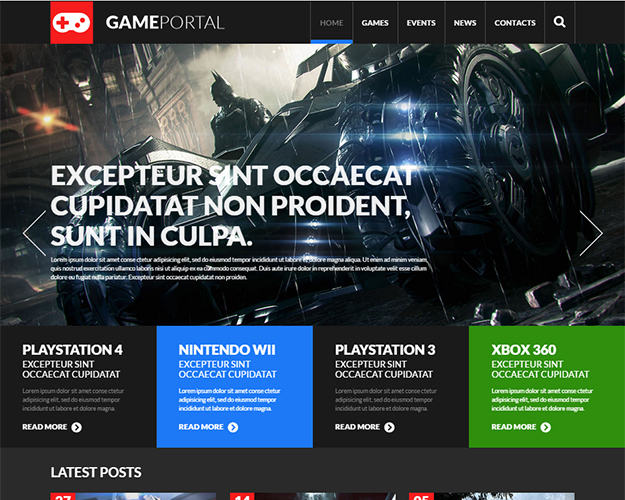 Game Portal theme is more than an ordinary info spot, the theme focuses on how to draw more players in. As people navigate through your site, they will be able to find multiple content widgets like images, sliders and videos. The theme has a beautiful layout with a clean design. 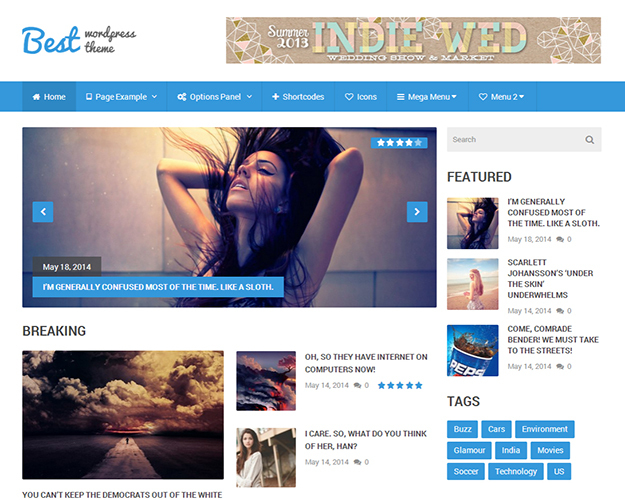 Journee is an amazing and modern feature rich theme specially designed for online magazines, blogs, and news sites. The theme is responsive, retina-ready, SEO-friendly and Ad ready as well. 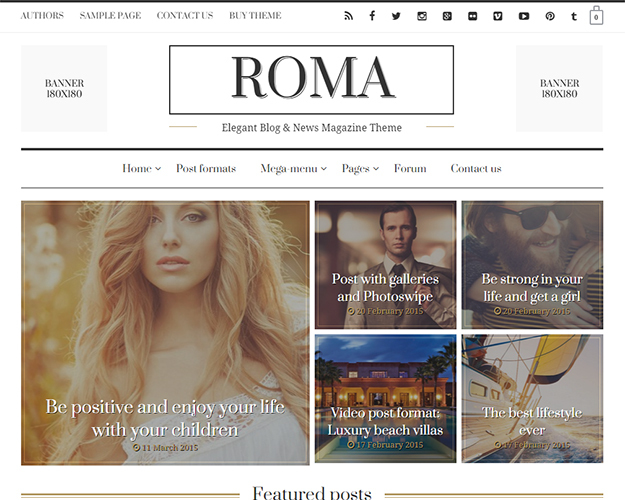 ROMA is an elegant blog & news magazine theme, suitable for any kind of creative or business site. Built upon the responsive Twitter Bootstrap framework, the theme is highly optimized for both mobile and desktop platforms. 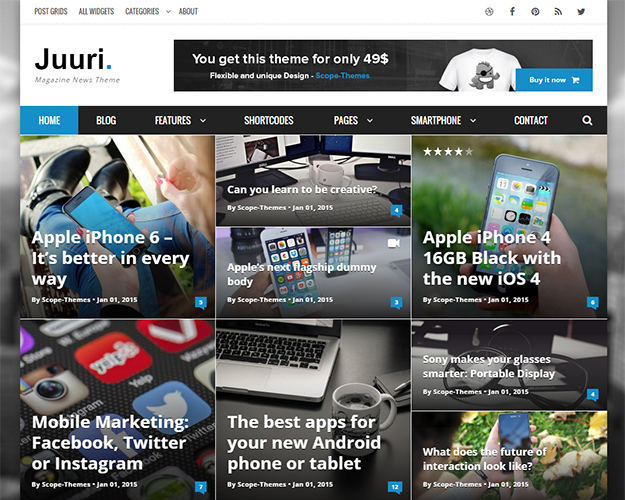 Juuri is an individual and very adaptable theme with a fully responsive layout. It contains many features and options to provide a handsome handling. Juuri has 8 custom widgets for sidebar and 5 custom widgets and post slider for homepage. 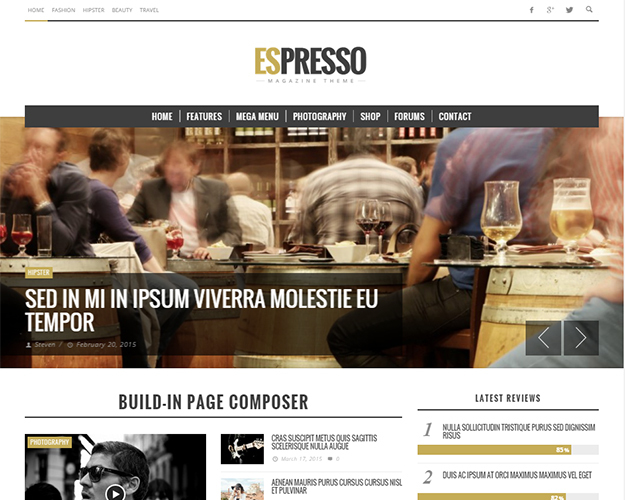 Expresso is a modern blog and magazine theme which is colorful and creative in look. The theme offers six headers that will give you the option to target right audience while also keeping the monetizing aspect in view. 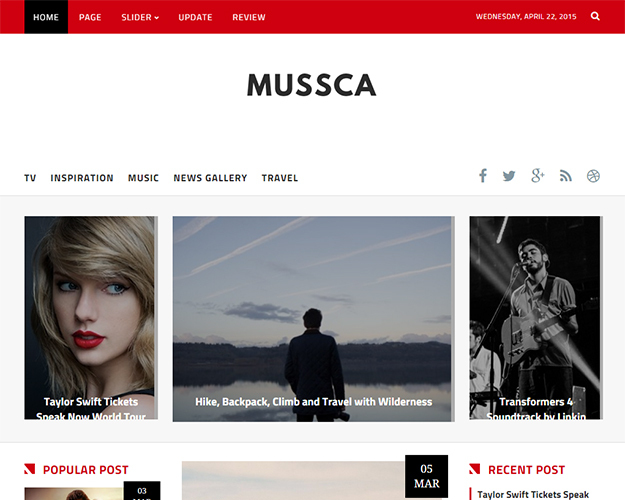 Musca is responsive theme, suitable for news or magazine website. It is fully responsive and ready to look great on any device. Built with Bootstrap 3, Musca is easily customizable. 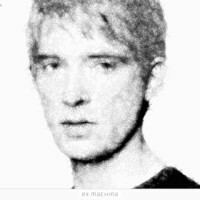 It is well organized, commented and documented. 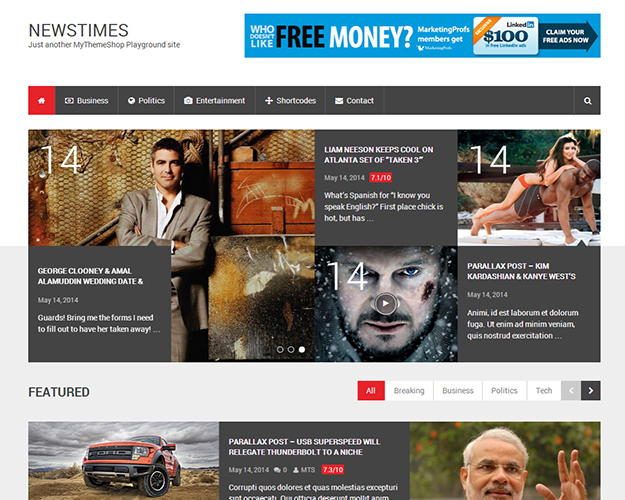 NewsTimes is a pixel perfect, attractively designed and ultra responsive theme. Featuring hand-written HTML5 and CSS3, NewsTimes loads incredibly fast, and features SEO optimization to help you rank higher. 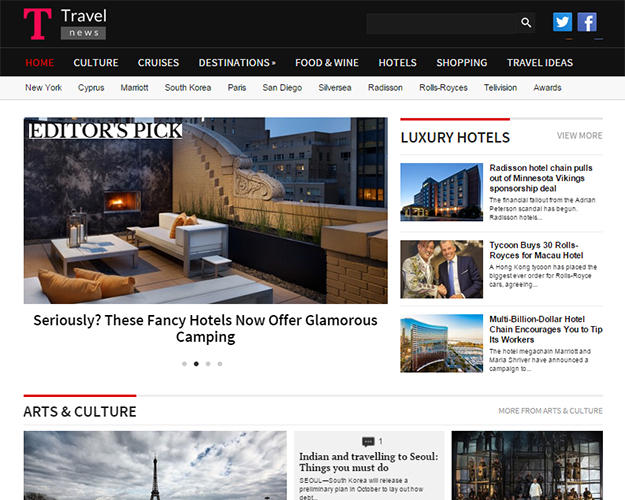 TravelNews is a magazine theme which captures the aesthetics and the style of a professional travel portal & travel news website. This theme presents your content in a way that your readers can easily browse through the valuable content which you have to offer to them. 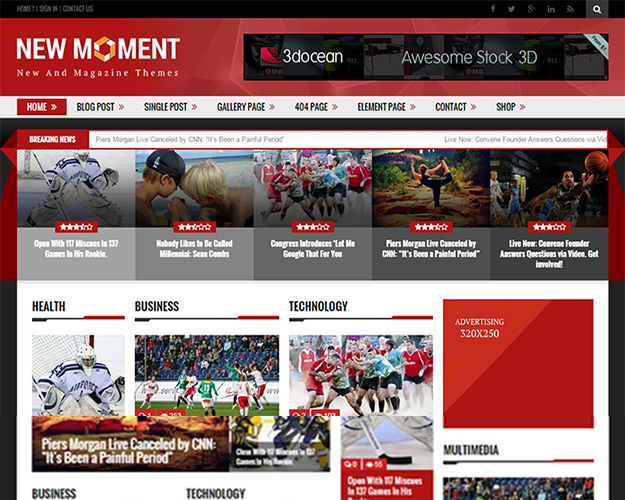 New Moment magazine theme is a modern and professional theme that is extremely perfect for blogs, magazine, review sites or personal sites. Moreover, with WooCommerce integration for selling products, you also can built an online shop for your website. 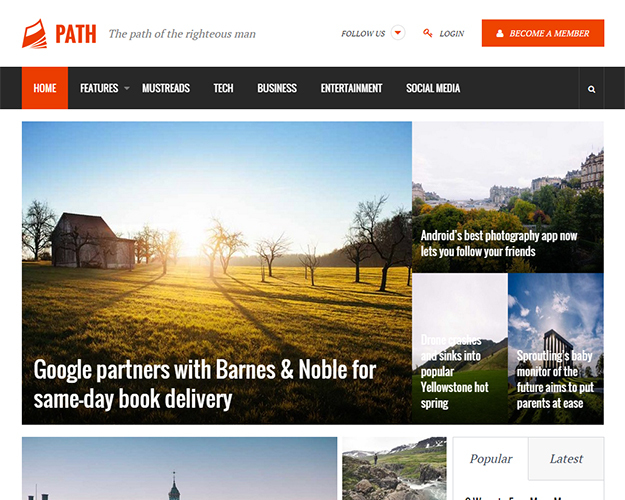 Path is a fully responsive, multi-purpose theme, suitable for blogs and magazines. Path is a simple and clean theme with modern design. The theme is fully responsive and comes witj 10 custom widgets, 2 comment system, 3 header layout options and many more features. 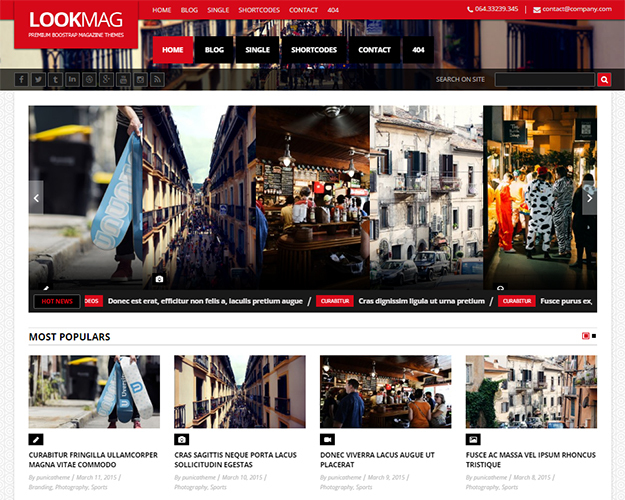 LookMag theme is a stunning, modern, easy-to-customize theme suitable for those planning to build magazines, review sites, newspapers, or blogs. Designed and developed by professional staff, this theme is jam-packed with all the best features. Online Newspaper is just a step ahead now. 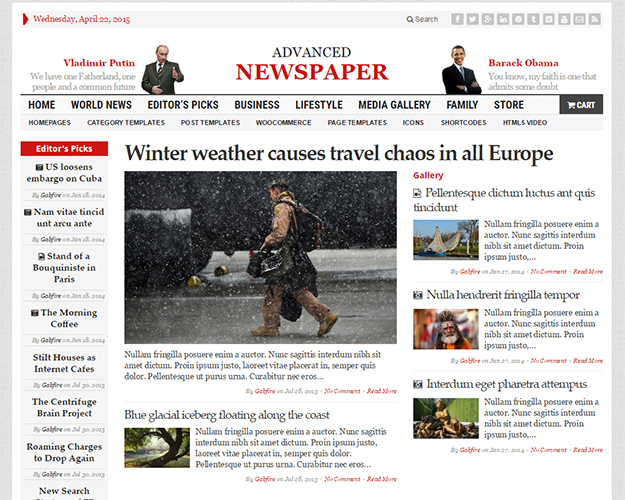 With Advance Newspaper, you can set up and run your very own e-newspaper site just in matter of minutes only. The theme includes an advertisement module along with “category based ad” option. 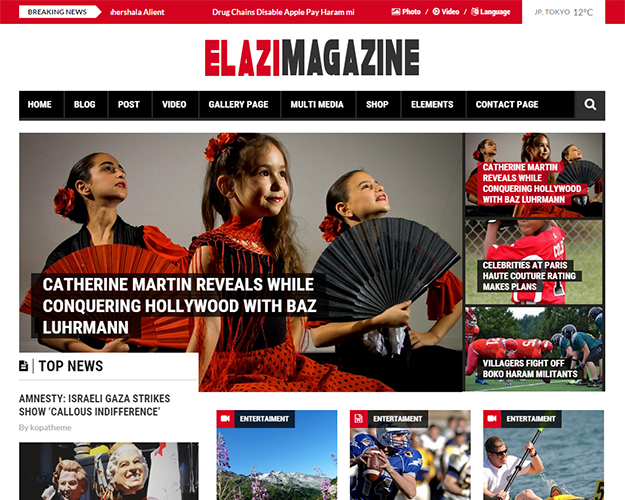 Elazi magazine theme wais designed to support the most effectively for writers who love sport, fashion, travel,cook or any purposes to share information, news, experiences, images. 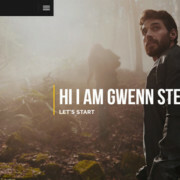 The theme is fully responsive and adapts well to different screen sizes. 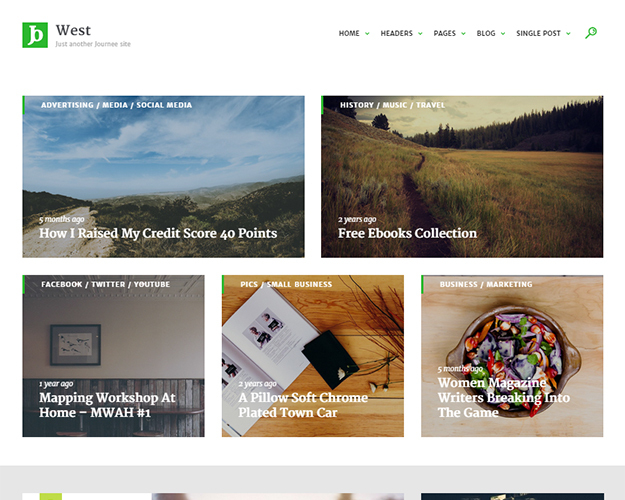 Magneus is a simple, modern and responsive magazine theme which could be used for your personal blogging. The theme is SEO optimized and has a valid HTML5 that works well with popular SEO plugins. 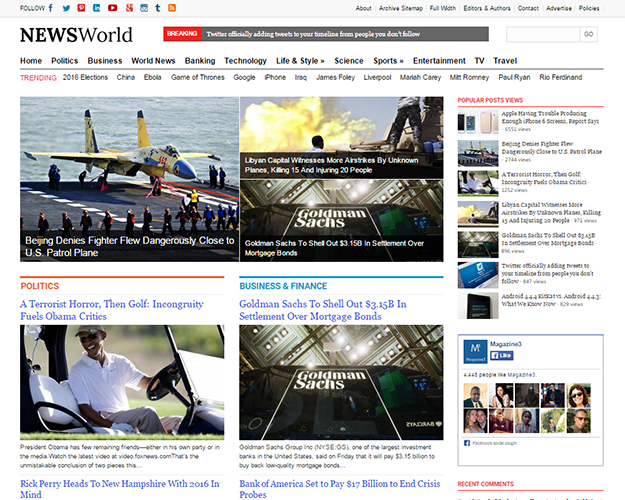 NewsWorld is an amazing magazine theme that makes your website look like a professional news website. This theme presents your content in a way that your readers can easily browse through the valuable content which you have to offer to them. 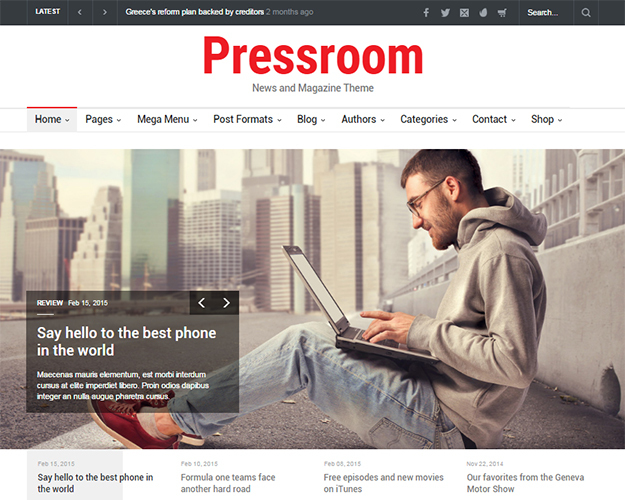 Pressroom is a highly configurable and responsive theme, best suitable for news, newspaper, magazine or review sites. The theme comes with different home page layouts including wide slider, small slider and block-based featured content plus multiple post type formats including small featured image, gallery, review, soundcloud audio or video type. 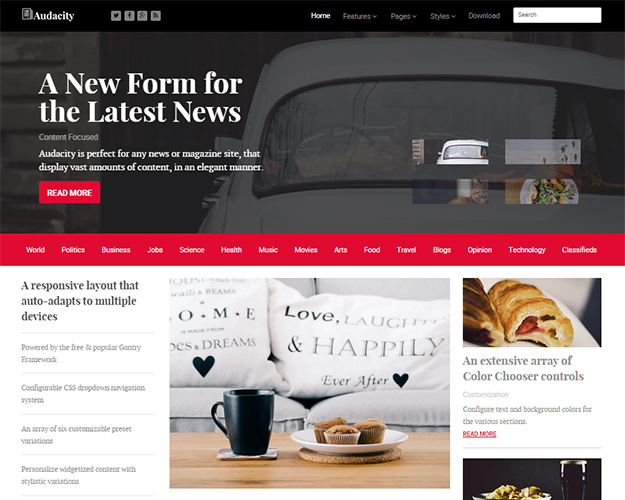 ESPRESSO is a modern, clean, responsive and retina ready theme that is built for blogs, newspapers, magazines or review sites. 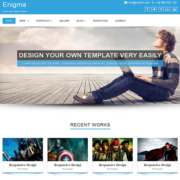 The theme comes with simple page composer, advanced review system, off-canvas and mega menu. ESPRESSO is multi-lingual and RTl ready. 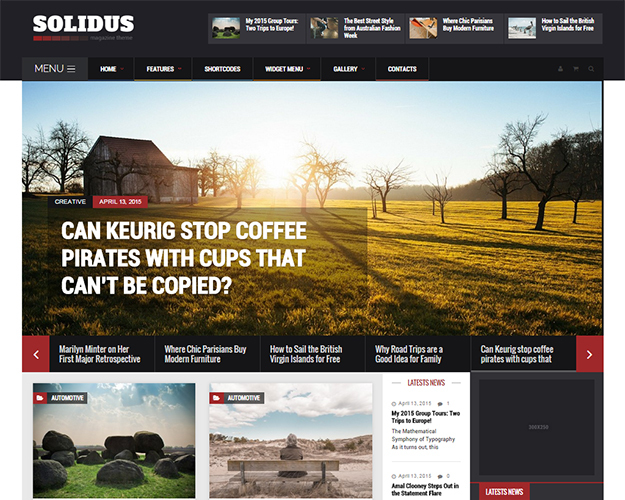 Solidus is a responsive theme with unlimited homepages styles. The theme features mega menu dropdown, theme control panel, photo gallery lightbox, drag & drop page builder and off-canvas mobile menu along with visual composer. 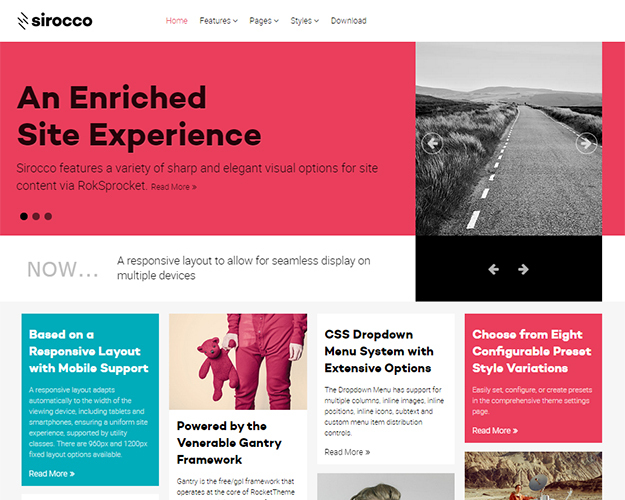 Sirocco features a variety of sharp and elegant visual options for site content via RokSprocket, with its many layouts and themes. The design paradigm behind Sirocco is a flat and contemporary approach to keep a fresh but engaging site experience. 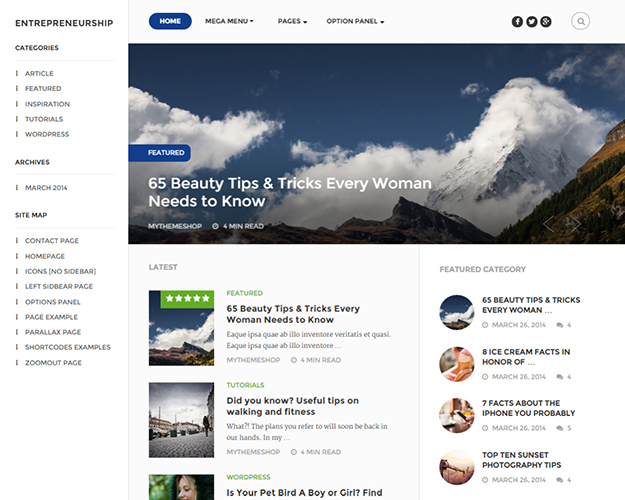 Entrepreneurship is an amazing magazine theme with multiple layouts, several page templates, and features to help grow your site. The theme by MyThemeShop, comes jam-packed with features such as social media integration, speed and search optimization, and mega menu support that let you build a large blog while not sacrificing any control or granularity.